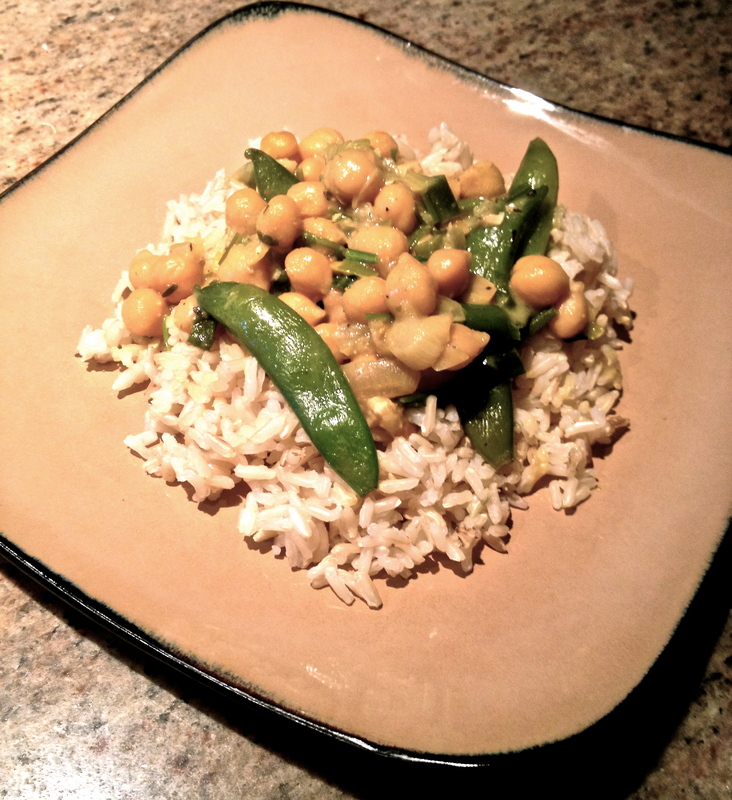 Curried chickpeas | Simply called "Food"
Like a lot of people, I used to buy “cans” when it came to legumes. I always thought it was such a complicated thing to buy dry, and then soak to cookthe next day. But it is such an easy thing. Just to control the amount of salt is a good thing. With 3 cups of dry chickpeas, it gave me 8 cups of cooked chickpeas, once they’re cooked you put them in the freezer ready to use when needed. It is an excellent meat substitute, because it is very high in protein. Out of 164g (1cup), you get 14.5 g of protein which is 29% of you daily value, 12.5g of fiber (50% of D.V.). It is also high in folate (71% of your D.V.). Because it doesn’t contain any B12 vitamin, I just added nutritional yeast. So the recipe today is with chickpeas. In a small pot, over medium heat, melt the coconut oil. Cut the onions and cook them in until they turn golden. Add the ginger, the chickpeas, the yeast, the curry, salt and pepper. Stir and let it cook for about 5 min. so all the flavors blend together. Then add the coconut milk and the snow peas and let it cook for about 15 min. When it’s almost cooked, add the coriander and the walnut. You don’t want to overcook this herb, but just get the flavor out of it. You can serve it over brown rice or quinoa. Tags: Chickpea, Coconut milk, Curry, Dairy Free, Dietary Reference Intake, Food, Fresh herbs, Fruit and Vegetable, Gluten free, Legumes, Nuts, Recipe, Vegan, Vegetarian, Walnut. Bookmark the permalink.